Moez Surani’s poetry and short stories have been published in a number of literary journals. He completed undergraduate studies at Queen’s University followed by an M.A. in English language and literature and creative writing at Concordia University in Montreal in 2005. His thesis is entitled The Legend of Baraffo. Surani now lives in Toronto. His current focus is upon performance art and collaborations and interdisciplinary art. [Victoria, BC? ]: La Mano Izquierda/Left Hand Press, 2009. Hamilton, Ont. : Wolsak and Wynn, 2012. 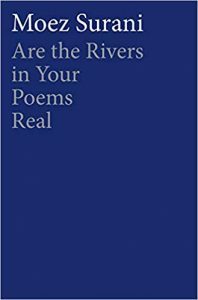 Floating Life, Moez Surani’s second collection of poetry, takes the reader on a dizzying tour of the world, stopping in Cairo, Muju, Madrid and Cape Breton. Interwoven through these evocative glimpses of places and the people that live in them are poems exploring relationships, reflecting on identity and considering the passing of time. [A] book-length poetic inventory of contemporary rhetoric of violence and aggression, as depicted through the evolution of the language used to name the many military operations conducted by UN Member Nations since the organization’s inception in 1945. 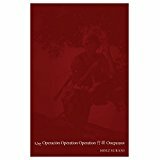 By pulling military language away from euphemism—effectively, making it account for its doublespeaking ways— ةيلمع Operación Opération Operation 行动 Oперация documents the chasm that exists between these two sets of values, and gives voice to the many lives lost in conflicts around the world, in a volume that will speak equally to lovers of contemporary poetry, language, and linguistics, as to readers interested in politics, international relations, and public discourse. Hamilton, Ont. : Wolsak and Wynn, 2009. Reticent Bodies is Toronto author Moez Surani’s long-awaited debut collection. Shaped by a childhood spent listening to a mixture of Gujarati, Kutchi, Urdu and Swahili around the kitchen table, while attending a French Immersion school in Toronto, Surani’s poems could define the epitome of Canada’s ethnic layering. Spare Canadian lyricism is combined with unusual linguistic rhythms and sharp bursts of vibrant imagery in an exceptional poetic debut. With illustrations by Clarabella Yim. Surani, Moez. 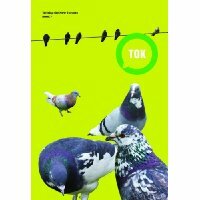 “Poems.” In Tok. Book 4, edited by Helen Walsh. Toronto: Zephyr Press, 2009, 81-83. Surani, Moez. “Toronto/Week.” In Tok. Book 7, edited by Helen Walsh. Toronto: Zephyr Press, 2012, 45-48.